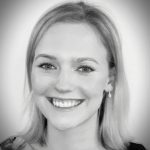 Hannah is a non-life actuarial recruiter primarily dealing with Lloyd’s and London Market. Having gained her degree from Oxford Brookes University in Equine Science she has turned her attention to working in the insurance market. Hannah is enjoying the consultative approach that Bolton Associates offers and developing new and long-standing relationships within this niche market. She particularly enjoys working with graduate and actuarial students and supporting their early career progression.